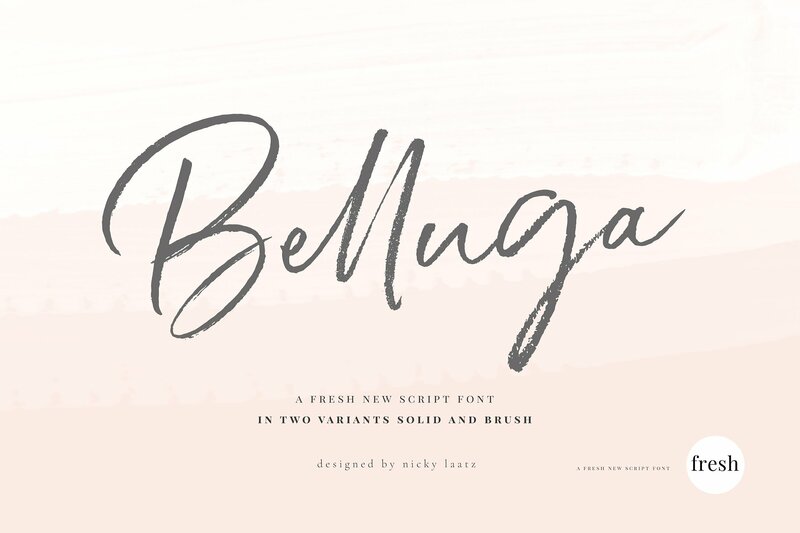 Belluga Brush is a large casual, relaxed and stylish script font created and published by Nicky Laatz, an Australian based illustrator designer. Created to look as close as possible to natural handwriting, Belluga Brush feature over 80 ligatures, swashes and alternates. All these features will make Belluga Brush font look great on logos, holiday cards, wedding invitations, quotes, advertisements and more. Belluga Brush has also multilingual support that will prove to be very useful for all local designs. You’ll just love Belluga Brush! A font description published on Tuesday, May 22nd, 2018 in Fonts, Nicky Laatz by Andrei that has 1,895 views.